These are rear facing infant carriers. Suitable from birth to 13kg (12 - 15 months approx.). Lightweight and portable, these have a carry handle. It is a requirement to have one to bring your newborn home from hospital. 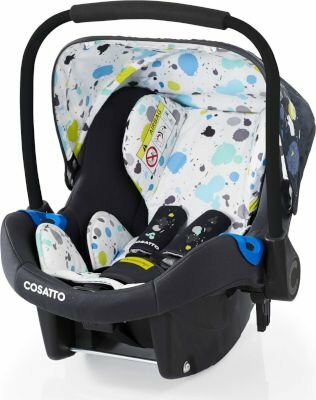 Our hold is a friendly group 0+ infant car seat, car seat is Isofix.